Lowongan Kerja Telkom Sigma – Jarno.web.id – PT Sigma Cipta Caraka – Telkomsigma Established in 1987, PT Sigma Cipta Caraka (telkomsigma) is a leading integrated Full IT Solutions company for more than 24 years in Indonesia, currently employing more than 1000 personnel including internationally certified IT professionals. With our experiences and competencies, we have been at the forefront of innovative IT solutions, development and operations, delivering IT benefits both at home and abroad. 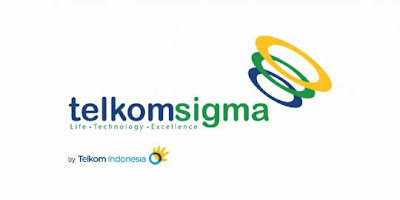 telkomsigma offers comprehensive information technology services comprising of consulting services, managing IT services, software development services, and integrated data center operations in the banking (conventional and sharia-based), financial, telecommunications, manufacturing, distribution and other sectors. Our solutions portfolio comprises of excellence Managed Services (International certified Data Center, Cloud Computing, E-Transaction, Telco Managed Services, and Edutainment Media and Communication Services), Software Development Services, and System Integrator. Candidate must possess at least Bachelor’s Degree in Computer Science/Information Technology, Science & Technology or equivalent with GPA min. 3 from reputable university. Have Skill in Command Line Processor (CLP), SQLRPG, DSPF, PRTF in AS400 program. Familiar with software development life cycle. Familiar with eChannel Banking application. Ever have design software application, coding and testing program untill implementation. Good Interpersonal skill, able to work with tight deadline, high precise and proactive. Applicants must be willing to work on site or project based in customer. Only short-listed candidates will be followed up. Jarno.web.id – Info Lowongan BUMN CPNS 2019 © 2019 - 8 q. 0.978 s.